Columbia, SC– Last week, Coastal Conservation Association South Carolina (CCA SC) and its habitat program, Building Conservation Trust (BCT), continued the organization’s commitment to creating nearshore reef habitat off the Palmetto State coast. 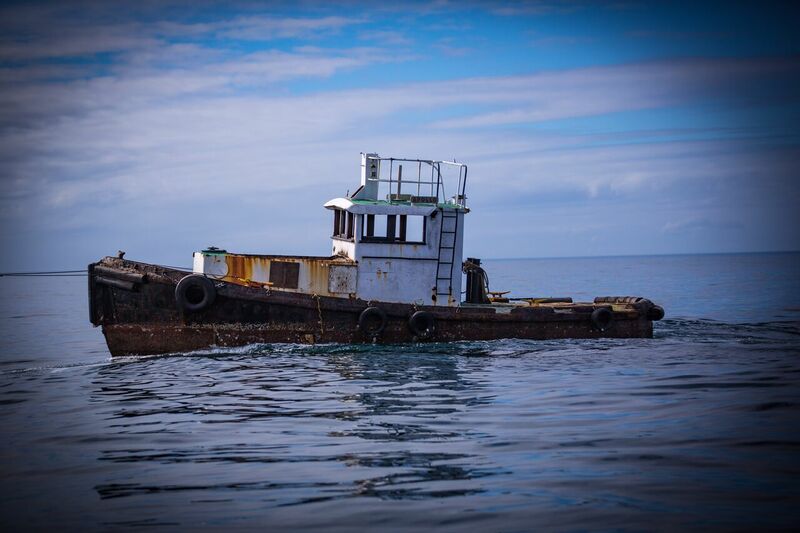 The CCA Little River Offshore Reef, consisting of a 42’ decommissioned tugboat named Apollo, was placed in approx 50’ feet of water; an easy trip for recreational anglers seeking to enjoy South Carolina’s abundant fishing opportunities. “Recreational fishermen along the grand strand are excited to have a new nearshore site with easy access for fishing and what we feel will offer excellent fishing opportunities for many species,” commented local Waccamaw CCA and state board member Andy Ricks. “The vision of our reefing effort is to create nearshore sites that aren’t just a one-time project, but a continuous effort to reef the entire area” he added. This project is the latest of five sites that CCA SC, BCT, and the SCDNR have partnered on since 2010. CCA SC is pledging to double that number in 2017, creating five new sites before the end of the fourth quarter bringing the total count to 10 deployed by this partnership. The recreational angling advocacy group is faithful to the vision of expanding the nearshore reefs, and therefore the amount of new marine habitat that can be found out of every port in South Carolina. “CCA SC remains committed to the nearshore reefing efforts in South Carolina and looks forward to expanding habitat and fishing opportunities along the entire Palmetto State coast” said W.D. Morris, Jr, CCA SC’s state treasurer. “The project list continues to grow as does the opportunities for improving our state’s marine resources. This is just the latest of much more to come”. For more information on CCA SC and BCT projects, be sure to visit www.ccasouthcarolina.com.